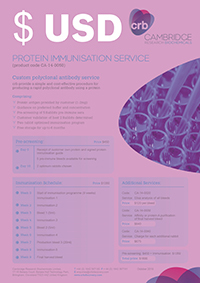 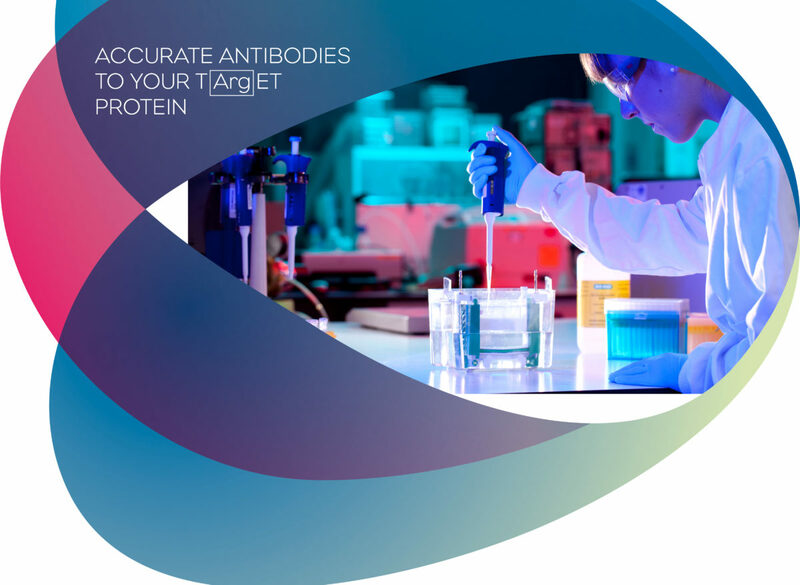 The Protein Immunisation service is a low-budget, all-in rapid process for tried and tested proteins (or customer’s own) antigens and is recommended for repeat projects and is normally used by research institutes. 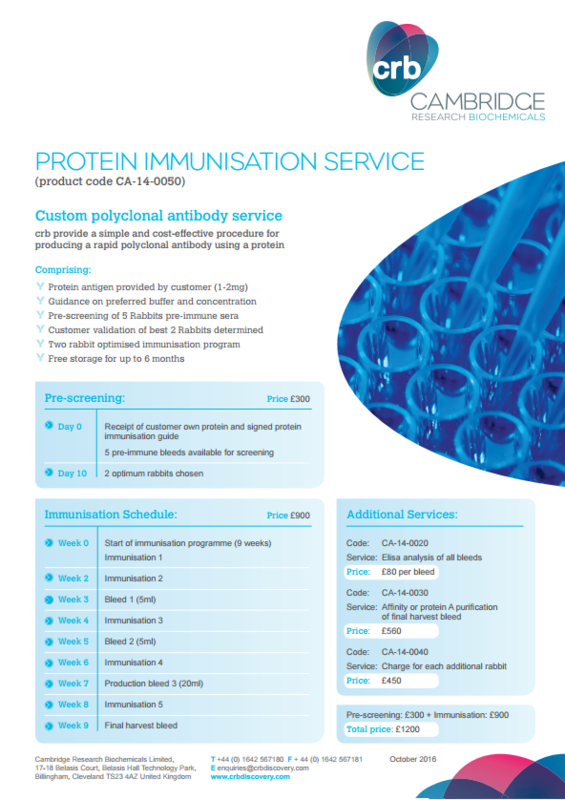 This is our Fixed Price and most basic Antibody Package. 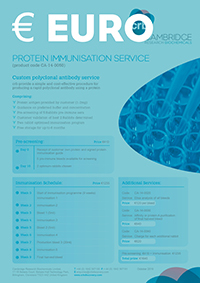 it runs on a shorter schedule (9 weeks) as compared to our Peptide Immunisation service (11 weeks) as proteins are usually more antigenic than peptides due to their size.